Nelson Mareng stands alone on the train station in Berlurenstad, a city where most are in too much of a hurry to help a stranger. But not everyone. Suddenly, Nelson is involved in a world full of dangerous secrets, fake news and grand adventures. Embark on a trip beyond Berlurenstad’s tidy facades in Frölander-Ulf’s tender and humoristic book about friendship and daring to stand up for what feels right. 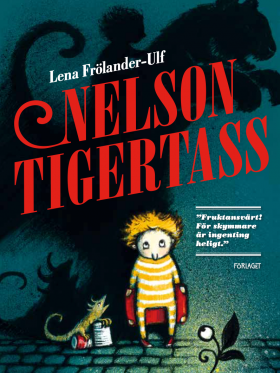 Inspired by The Murderer’s Ape by Jakob Wegelius and with a nod to Mio min Mio by Astrid Lindgren, this mysterious adventure will thrill readers of 9 years and up. A warm and imaginative story about fear, friendship and prejudice. And about how the striving for order can go too far.